Balance and precision are the hallmarks of high quality throwing knives and the Black Ronin Triple Throwing Knife Set is the epitome of perfection. 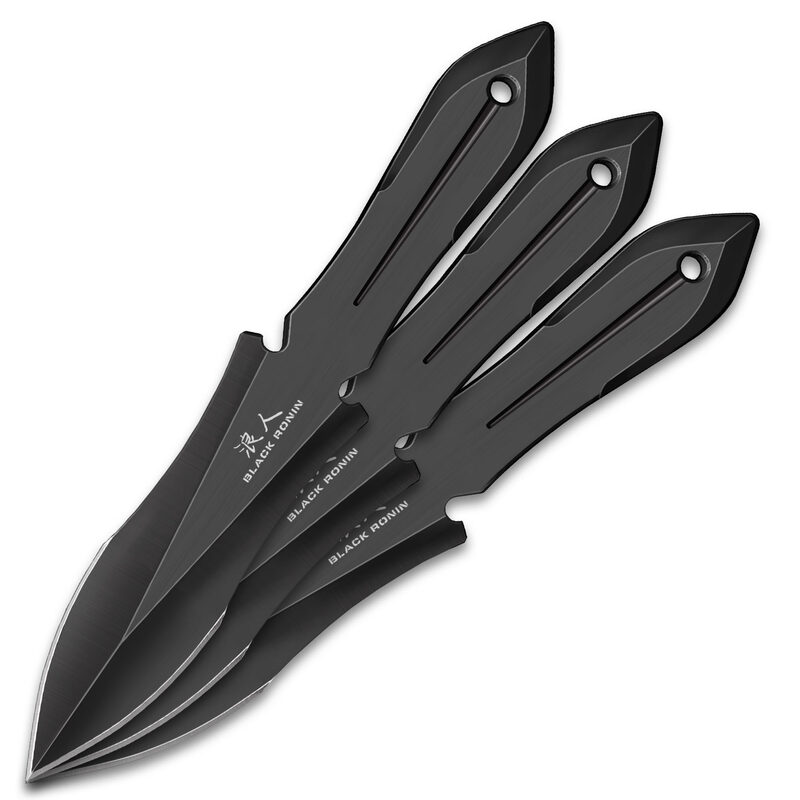 Each of the throwing knives is crafted of a solid piece of 3Cr13 black coated stainless steel with a 4” blade. The slim, aerodynamic handles give you the correct grip to improve your throwing skills. The set of three knives fit securely in a nylon belt sheath with PVC pocket liners. You’ll be amazed at how much your aim and penetration improves with the Black Ronin Triple Throwing Knife Set.